Short on time? This homemade treat is fast to make, and guaranteed to elicit ooh’s and ahh’s. 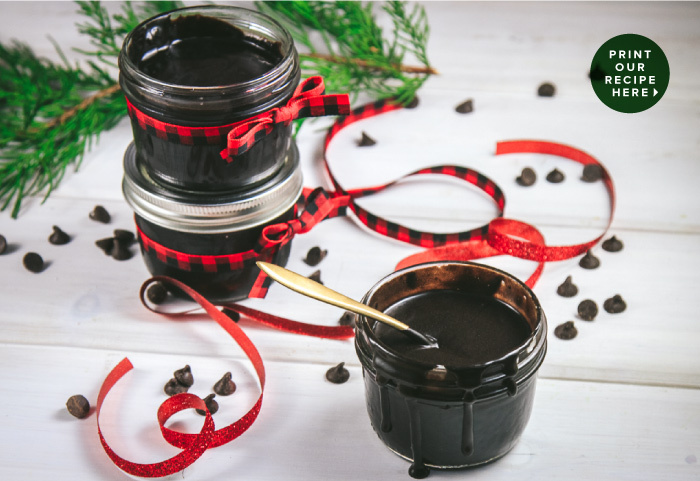 You'll find that this hot fudge delivers on a rich dark chocolate flavor experience and seasonal peppermint flavors. Drizzle over your favorite ice cream, and enjoy spoonfuls of decadent pleasure. 1. 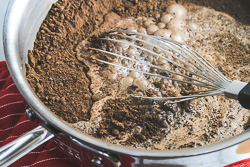 In a medium saucepan, combine the cocoa powder and brown sugar. 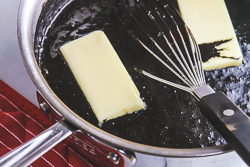 Whisk in the half-and-half and cook over medium-low heat, stirring occasionally. 2. When the mixture begins to warm and the sugar dissolves, add the corn syrup and butter chunks. 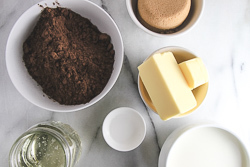 Stir the fudge sauce until the butter melts and all of the ingredients are evenly combined. 3. Once the mixture is hot, remove from heat, and add the peppermint extract stirring to combine. 4. 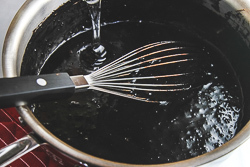 Cool the sauce for 5 minutes, then pour the hot fudge into small canning jars or other vessel of your choice. 5. When ready to serve the hot fudge, heat in a microwave-safe bowl for 20 seconds, stir, and heat for another 10 seconds. Drizzle over your best ice cream and enjoy! 6. This hot fudge may be stored in the refrigerator for up to 2 weeks.